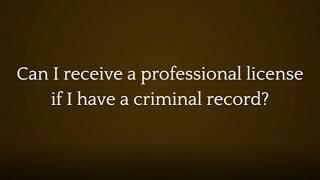 Can I receive a professional license if I have a criminal record? 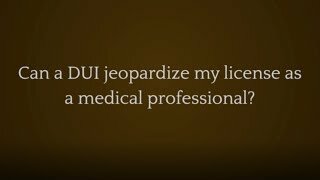 Can a DUI jeopardize my license as a medical professional? 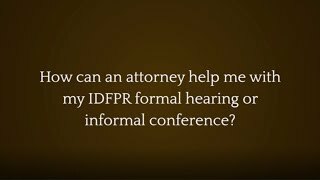 How can an attorney help me with my IDFPR formal hearing or informal conference? 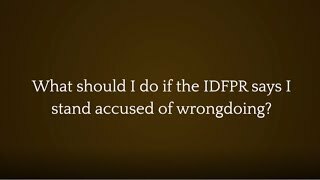 What should I do if the IDFPR says I stand accused of wrongdoing? 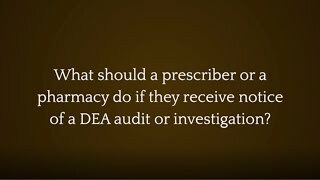 What should a prescriber or a pharmacy do if they receive notice of a DEA audit or investigation? 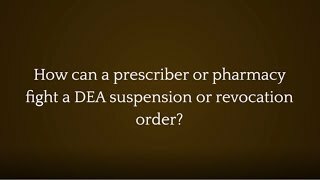 How can a prescriber or pharmacy fight a DEA suspension or revocation order? 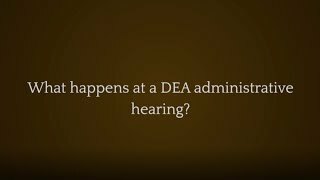 What happens at a DEA administrative hearing? 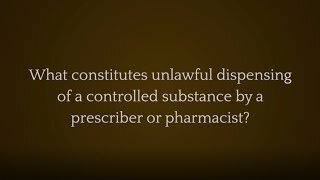 What constitutes unlawful dispensing of a controlled substance by a prescriber or pharmacist? As a healthcare provider, finding out you are being investigated by the DEA can be an intimidating and frightening experience, even if you have done nothing wrong. When you receive notification that you are the subject of a federal investigation, it is imperative you entrust your case to the The Law Offices of Joseph J. Bogdan, LLC. Attorney Bogdan is a registered pharmacist and former Illinois Department of Professional Regulation prosecutor, with nearly two decades as a successful defender of medical professionals. As an Illinois Pharmacist Association board member, he is often called as an expert witness in pharmacy, medical, malpractice, and other cases. He also serves as a pharmacy law instructor at multiple Chicago-area universities. The scheduling and structure of a DEA administrative hearing is similar to a regular trial. Your appearance dates are determined, discovery periods for the accumulation of evidence are scheduled, and witnesses are presented. Your case will be heard by a federal administrative law judge, who will make a final decision in the case. When your professional license, reputation, and career are at stake, you need adept legal representation from an attorney who has investigated, prosecuted and defended subjects of disciplinary hearings. With The Law Offices of Joseph J. Bogdan, you will see why many other law firms and lawyers in the field come to Attorney Bogdan for advice. To speak with an Illinois healthcare license defense attorney about your case, contact us to schedule a consultation by calling 630-310-1267 today. What Should a Prescriber or Pharmacy Do if Informed of a DEA Audit or Investigation? 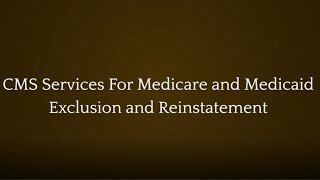 It can be a daunting feeling if you are a medical professional who has received notice from the DEA that you are under audit or investigation, or that you must appear at a DDEA administrative hearing. Because your career can hang in the balance, it is critical to act quickly by contacting the Law Offices of Joseph J. Bogdan, LLC. Limit your conversations with investigators until you consult with Attorney Joseph J. Bogdan, a registered pharmacist and former prosecutor with the Illinois Department of Professional Regulation. Attorney Bogdan is the legal advocate to have by your side, with nearly two decades of defending healthcare professionals and protecting their licenses. 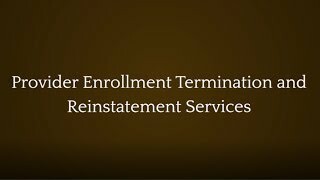 If you have personal interaction with DEA investigators, do not sign anything, including a DEA 104 form, which voluntarily relinquishes your DEA registration. The DEA typically works with the Illinois Department of Financial and Professional Regulation (IDFPR) and the Illinois Board of Pharmacy. The IDFPR may open a case along with the DEA investigation or audit. Make sure you save all the records you receive from the DEA. Immediate action is imperative when informed you are the subject of a DEA investigation. When you enlist the adept legal guidance and aggressive representation of The Law Offices of Joseph J. Bogdan, LLC, you get a lawyer who has investigated, prosecuted and defended many individuals facing potential license suspension or revocation. Entrust your case to a skilled attorney who other law firms ask for advice in licensing matters. For a consultation with accomplished Illinois healthcare defense lawyer Joseph J. Bogdan, contact us at 630-310-1267 today.